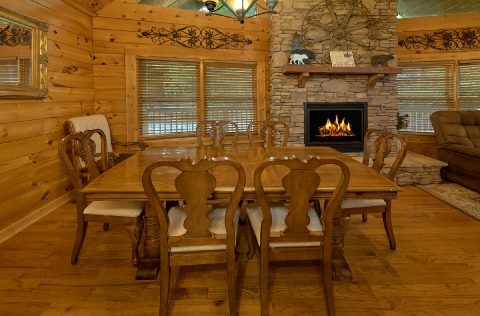 Ready for a Gatlinburg cabin that's the perfect place for making treasured memories with friends and family? 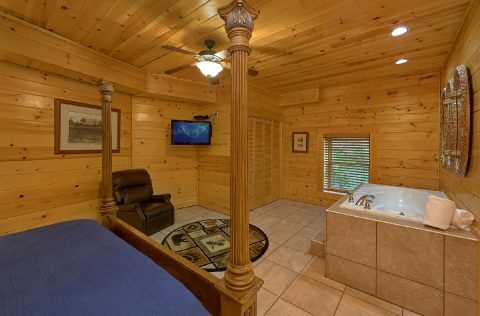 Start your vacation by booking "Mistletoe Lodge!" 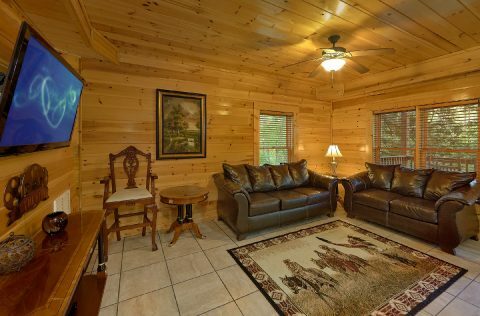 This comfortable 4-bedroom cabin sleeps up to 8 guests in comfort, just the right size for a family getaway or a fun vacation with friends. 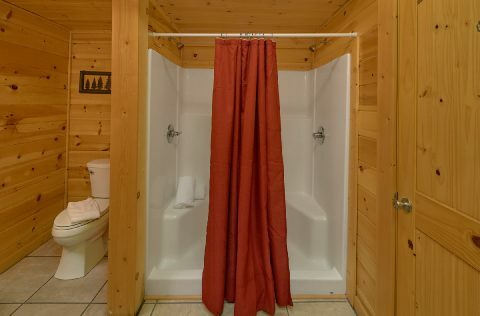 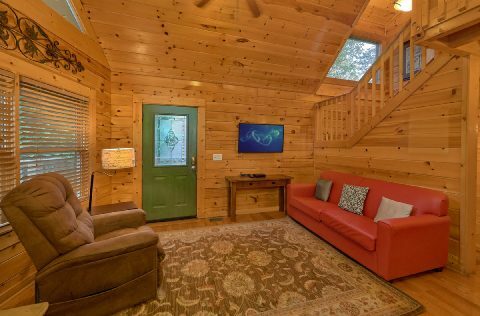 Not only does this cabin have everything you need for an excellent cabin vacation, you'll also find this rental has a prime location in the mountains. 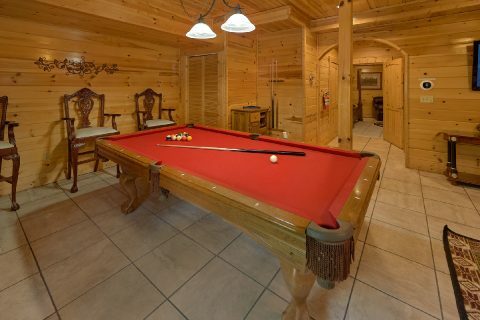 Since this cabin is located in the Mountain Shadows Resort, you'll get to enjoy outdoor pool access during the warmer months! 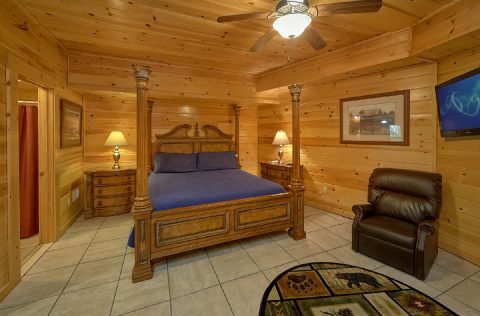 This log rental is also located only 10 minutes from Downtown Gatlinburg in the East Parkway region of Gatlinburg. In addition to being close to outfitters like Rafting in the Smokies and the Smoky Mountain Riding Stables, this rental is also close to the Greenbrier region of the national park. 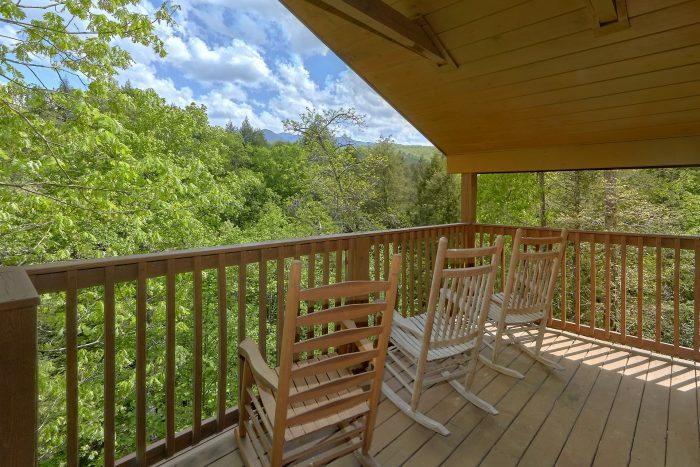 If you'd like to explore the rich tradition of handicraft making in the Smokies, this rental is only a short drive from the Smoky Mountain Arts & Crafts Community. 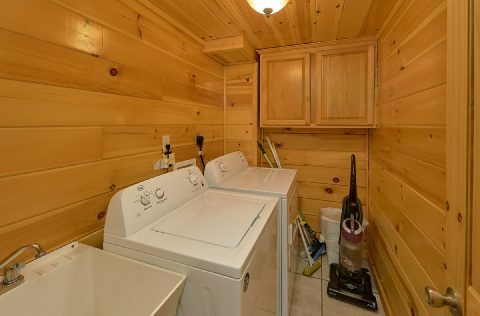 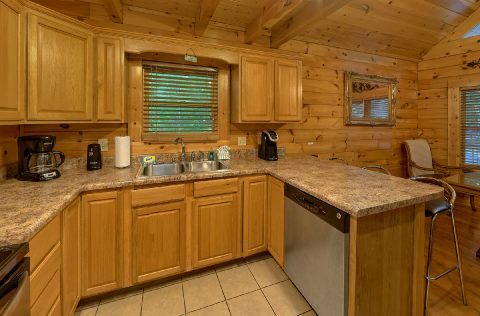 As an added perk, this cabin is also close to a Gatlinburg Trolley Stop on the East Parkway, if you'd like to save money on parking in Gatlinburg. 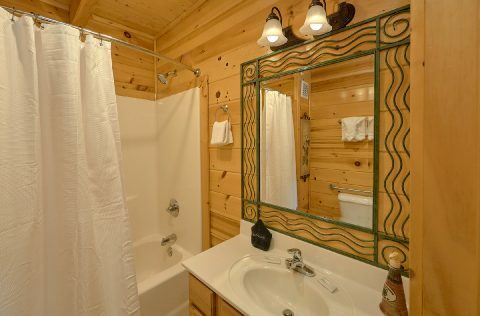 When you return to your cabin after a fun-filled day, you'll find everything you need to relax during your stay. 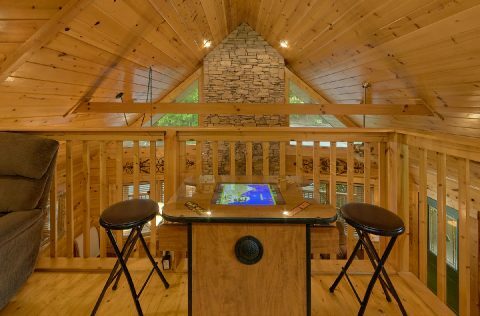 From the soothing hot tub on the lower deck to the game room with a pool table, you'll find great amenities that'll help you get the most out of your trip. 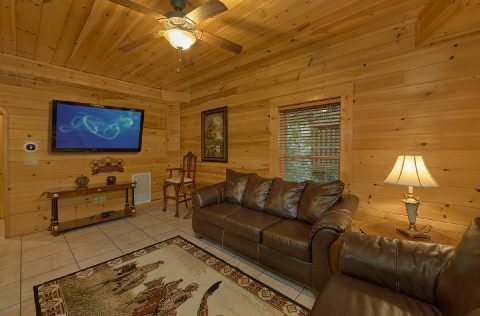 The game room also provides a sectional sofa with a fold out sofa sleeper. 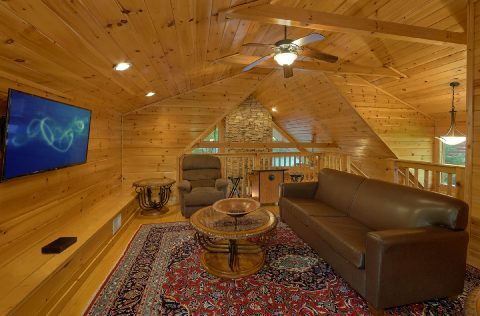 The main living room features a cozy gas fireplace for staying warm during the winter months and the upstairs loft sitting area is equipped with a large, flat-screen television. 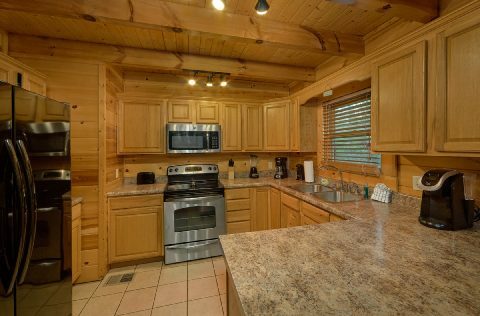 Your cabin also provides practical amenities like a full kitchen and wireless Internet access. 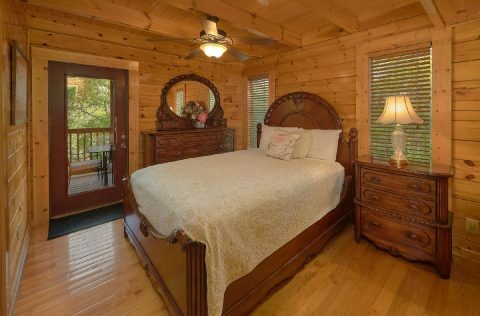 For staying well-rested on your vacation, this rental comes with 4 bedrooms and comfortable sleeping space for up to 8 guests. 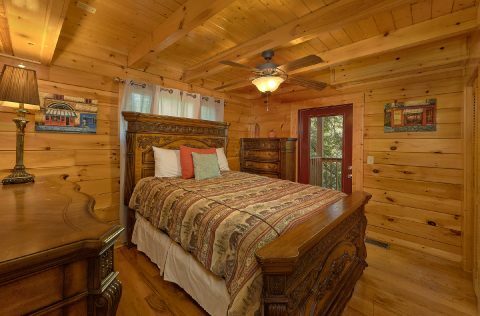 The main level features 2 queen-size bedrooms, while the upper and lower levels of the cabin provide master suites each with a king bed, bathrooms, and jacuzzi tubs. 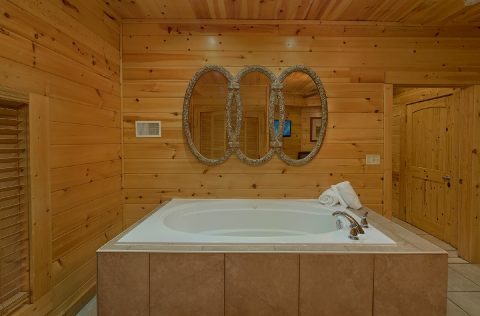 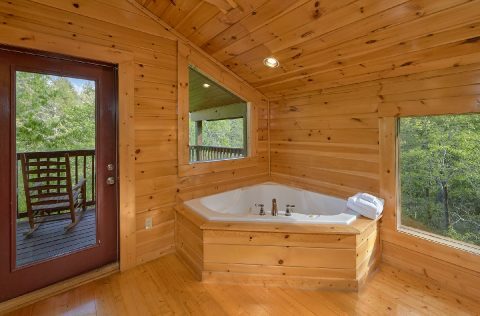 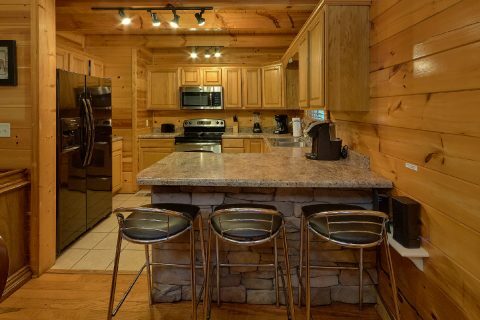 Reserve this 4-bedroom Gatlinburg cabin today to earn a special discount when you stay with Cabins USA Gatlinburg! 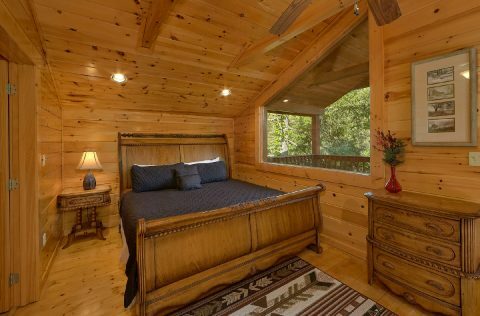 Book today to see how much you'll save on your nightly rate!